Visions & Dreams Intuitive Readers are experienced professionals. Each of them utilizes their unique talents and approach to provide insight into most every life situation. We invite you to call to arrange an appointment in person or by phone. Please note: Readers’ hours may fluctuate based on their availability. Lori is unique as she is a Spiritual Teacher, Clairvoyant, Healer and Trance Channel. A reading can be done both in or out of the trance state with unseen friend “Raina”, or a mixture of both styles can be explored in one session. A channeled reading would be more healing in nature, where a clairvoyant reading would deal with the more worldly physical needs. You will be asked to say your name three times and then either Lori or Raina will tune into your energy with your voice and begin a very enlightening experience. $125 for 30 min, $225 for 60 mins. Lori reads by phone only on Friday evenings from 5pm to 8pm through Visions and Dreams and through Awakenings on Monday from 5pm to 8pm and on Saturday from 10am to 4pm. **Additional Appointment requests can be made if available. All channeling appointments are 60 minutes and must be requested when making the appointment. Lori is also co-owner of Awakenings and Visions & Dreams. She has taught Spiritual Development including clairvoyance, healing and channeling, amongst many other workshops for over 13 years, totaling 16 years of professional experience. This has resulted in a comprehensive online spiritual foundation program, many channeled teachings/meditations and a blog that can be accessed through her membership site www.rainateachings.com. MayLynne is an Intuitive Energy Healer, Clairvoyant Reader, Vocal Channel, Spiritual Teacher/Awakener and Medium. Highly Empathic, she has natural abilities of receiving information by inner knowing, visions/sight, and audible messages. 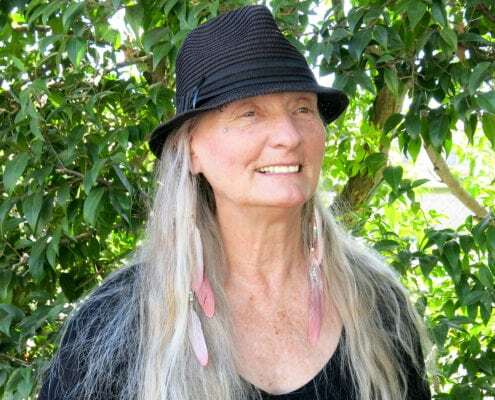 MayLynne works from her heart center creating a sacred space with her Spirit Council of Higher Self, Lemurian high vibrational Beings, and Tako, an American Indian Medicine Spirit – channeling her through healing song. Her passion is to work as a Spiritual Counselor, unlocking unhealthy patterns linked to childhood, relationship and past life patterns, bringing forth timeless healings in truth, clarity, healthy boundaries and empowerment to your soul journey in the embodiment of love and compassion. Camille Fedorow has guided her clients on the spiritual path for 20 years. She uses her Clairvoyant Channeling Skills, as well as reading Psychometry, Automatic Writing and three decks of Tarot cards to help her clients manifest their hopes and dreams. Graciela Ramos is known as a Business Intuitive who for years has helped people identify and achieve their highest and best life. Through her own Guides, she openly communicates with the Angels, Guides and Higher Self of her clients and serves as translator of the specific information she receives. Among other things she is a Medium, Pranic Healer and Palm Reader. Her countless gifts are often surprising, affecting all areas of her clients’ lives as well as their bottom line. Graciela is fluent in both English and Spanish. Christa Lynne has been an Intuitive Light Worker and Empath since childhood. She became a Reiki Master, Energy Facilitator, and Spiritual Adviser over the years. Her skills include Clairvoyance, Tarot, Reiki and Chakra/Aura cleansing and balancing. Her intention is to use these skills in order to assist people with shifting blocks in their lives and integrating their mind, body and spirit into one. She does this with a sense of Love, Light, Compassion and always Gratitude!. Joy is a Intuitive Life Coach, Psychic and Evidential Medium, Reiki Master, Certified Spiritual and Healing Counselor. Joy is a Clinical Hypnotherapist which includes Cellular Releasement and Past Life Regressions. 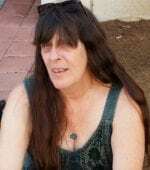 She uses Channeling, Angels, Oracle and Tarot cards, Psychometry, Pendulums, and Mediumship to help with clients needs. Over the years she has studied with many top rated teachers to train her natural lifelong gifts. Melody is a lifelong Clairvoyant. She has been practicing professionally for over 15 years. In a reading with Melody, you might experience Tarot, Numerology, and Astrology. She is a certified Reiki Master a certified professional Hypnotist with a focus on past life regression, and a Theta healer specializing in DNA Activation and Reprogramming. Nila brings experience spanning more than four decades, with a background in Metaphysics, Tarot, Neuro-Linguistic Programming, various healing techniques, and an in-depth study of Esoteric Teachings. All of this multi-faceted experience has allowed Nila, in her opinion, to develop a well-rounded perspective of what is referred to as “reality”. Through the years, her personal style has formed a specialized approach to reading, which includes: Core Patterns of Behavior, Relationships, Time Line Therapy, Career Profiling, and Fragmentation Integration. Suzanne brings over 30 years experience in intuitive guidance, informed through spirit vision, tarot and clairvoyance. She specializes in Energy work and personal growth, along with spiritual cleansing and protection and is experienced in animal communication. Trained in pastoral counseling as an ordained Gnostic Priestess, she can also assist in finding solace, insight and understanding in the face of loss or grief, always in the spirit of Light and Love. 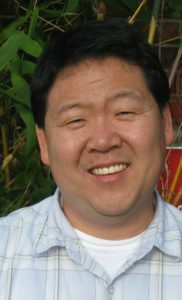 Patrick is an Intuitive and Spiritual Counselor. He uses his gifts of insight to help people find direction in their lives. His ability to see Past Life Energy, allows individuals to heal the present, so that they may move forward toward a bright and better future. Charity Love is a born clairvoyant. 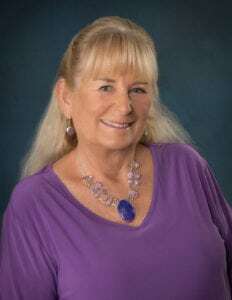 She specializes in assisting her clients to strengthen their divine purpose and connection to their guardian angels and guides. Charity works with the Angelic realm and Star Nation Galactic Council. She is also a sacred communicator for the nature spirit realms, a medium, medical intuitive, and past life light guide. Charity Love has been visited by the angelic realm since she was a child and talking with angels, as they have brought her clarity of future events before they occurred and how to work with spiritual gifts. Charity loves sharing about the assistance of help we have with us and that we are truly never alone. Charity Love is also a certified drug and alcohol counselor and certified life coach. Healings $175 one hour, $300 two hours. Past Life Regression, $200 for 1 1/2 hour session. Ariadne is an Intuitive Tarot Card Reader, a teacher and a sales and marketing professional. She has been reading at Visions and Dreams for 14 years. Her straight forward style lends itself to addressing life, love and business issues for those ready to make a change. See Ariande at Visions and Dreams on the second and fourth Sundays monthly. Laura is a Clairvoyant, Medium and Vocal Channel. Through a number of near death experiences and a long illness, Laura has been attuned to Spirit and subtle energy. She began to meditate as a way of shifting out of pain and depression. her life was forever changed when a team of higher-dimensional angelic beings came and saved her life, retrieving her soul from beyond the veil and putting her back into her body. Laura uses her direct connection to her higher self and the Angelic Realm to facilitate healing and deepen your connection to your Higher Self, allowing you to move forward with spiritual clarity and resolution. Natal Chart readings are $150 per hour (must be scheduled in advance so the chart can be printed. Healings are $175 dollars for 1 hour; $300 for 2 hours; Channeled Readings are $175 per hour. Tara has been doing readings since she was a teenager and professionally for over twenty years. She is a spiritual counselor, medium, numerologist and animal communicator with a background in Healing Arts. Tara provides guidance in all areas and aspects of life and offers honest and specific details guided by her Clairvoyant abilities. She also uses her intuition to pull some oracle cards and gives numerological yearly forecasts and life path information that will provide answers about your Life purpose and what’s in store for your future.